Undefeated Dortmund Stands Tall in 2015 Kentucky Derby: Perfect records tend to become extremely valued in horse racing. Everyone loves an undefeated horse, as shown not only by Zenyatta before her final start, but also a lower class horse such as Pepper’s Pride. 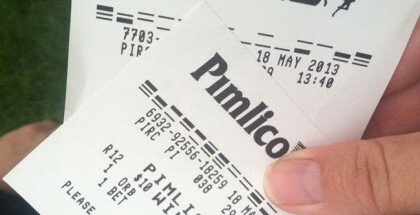 The New Mexico-based filly struck the imagination of fans with a 19-0 win-loss record. 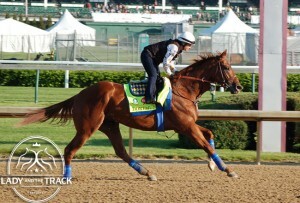 In Dortmund’s case, he goes into the GI Kentucky Derby at Churchill Downs 6-0 this far. Because stablemate American Pharoah has stolen the headlines though, Dortmund may not go off as the favorite. For bettors planning to use Dortmund, not attracting the most attention must be a dream come true. The Bob Baffert-trained colt, owned by businessman Kaleem Shah, won at three different racetracks already in his undefeated streak, one of them Churchill Downs. 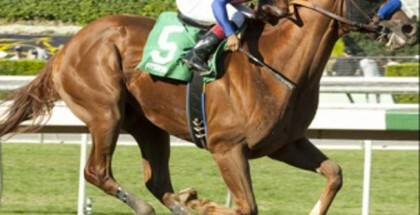 He came from behind, but can lead too as displayed in his Santa Anita efforts. Dortmund’s best race came in the GIII Robert B. Lewis while facing fellow Derby competitor Firing Line. When Firing Line made his move and pulled away by one length turning for home, observers assumed the race was over. Dortmund came back along the rail and displayed a stunning determination, although his flaw of not cornering well became clear. In Dortmund’s next two starts, the GII San Felipe and GI Santa Anita Derby, he simply set the pace and won. Sure, the margin of victory turned out small in the San Felipe, where he won by just over a length. He never gave the impression that he tried. 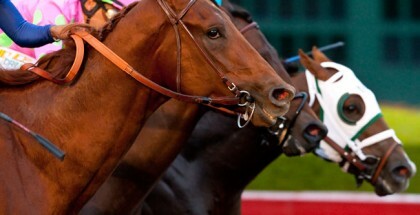 Whereas Firing Line legitimately gave Dortmund a scare, Dortmund appeared in control at every point in the San Felipe. His acceleration looked much smoother on the turn in the Santa Anita Derby, and Dortmund drew away by four lengths. Jockey Martin Garcia reminded Dortmund to keep going, but the point is, Dortmund made less mistakes. After opening in 22 seconds for a nine furlong race, he had a right to become tired, which helps explain why Garcia needed to nudge the colt along. 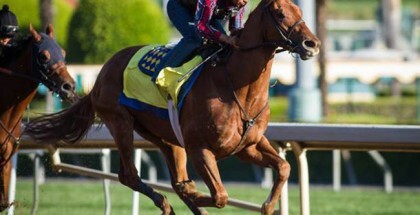 Dortmund is the top pick from post position eight and will offer some value considering the undefeated record. When Firing Line won the GIII Sunland Derby by over 14 lengths, he validated Dortmund’s quality with style under veteran Gary Stevens. At no point was Firing Line running hard in his Sunland race, yet the fractions went swift and Firing Line set the pace. He pulled away in the stretch with just the lightest of taps from Stevens, while the horses that pressed early on faded. Any criticism of the Sunland Derby field quality besides Firing Line is fair. At least, Firing Line won as easy as the race seemed on paper. The final speed figures and winning margin reflect that Firing Line belongs with the best three-year-olds. Plus, he projects to offer value as one of the ignored horses from the “big numbers” group because he comes from a lower-profile trainer. Expect Firing Line to secure a good spot from slot 10. Maybe he lets Stanford cross over when they break and then settles a few lengths off whoever the leader ends up being. Those wanting to pick an east coast horse, might try GI Wood Memorial winner Frosted. The Tapit colt switched tactics and closed from behind in a terrific win where the field spread thin (a good sign). Before the Wood Memorial, Frosted showed speed in his losing Gulfstream Park attempts. Sometimes horses change for the better when they switch tactics. As a closer, post position 15 suits the gray colt just fine. The ridgling that repeatedly defeated Frosted at Gulfstream, Upstart, deserves consideration too. Upstart crossed the wire first in his first two races this year, with the second win knocked down by disqualification in the GII Fountain of Youth against Itsaknockout. Trainer Rick Violette likely laid off Upstart going into the Fountain of Youth, and cranked him for the GI Florida Derby, where he faced Materiality and failed to win after an exciting stretch duel. Starting from the 19th slot is not ideal. Materiality ran a superb race in the Florida Derby for trainer Todd Pletcher. His jockey Javier Castellano constantly makes the right decisions in races, and no doubt will put Materiality in the best position possible from post number three. Stablemate Carpe Diem possesses as much talent, and won the GI Blue Grass at Keeneland as impressive as any other top name in this field. Pletcher’s Churchill Downs dirt record at 10 furlongs or higher is a bit concerning, as Super Saver remains the only win in 60 tries. If neither Materiality or Carpe Diem win here, expect one to fire big in the Belmont Stakes. Readers will notice American Pharoah is ignored in this analysis. There are serious holes on his dam side indicating that 10 furlongs against a fast pace is going to prove a challenge. Whether he wins or loses, the star colt has an incredible future ahead assuming he stays healthy. Other talented horses exist in this year’s Derby and there is not enough space to fit them all. Consider Dortmund, Firing Line, Frosted and Upstart for horizontal wagers including the Oaks/Derby double. For vertical wagers, such as the trifecta and superfecta, those four demand the most attention as well. Pick some crazy longshot closers underneath, as a pace meltdown brings Danzig Moon and Keen Ice into contention. Whatever choices are made, whether they match the ones above or not, do not worry too much and enjoy America’s most famous race!